Reside y trabaja en la ciudad de Pinar del Río. 2003: Gran Subasta de Arte Latinoamericano y Puertorriqueño. 2007: Expo Monstruos devoradores de energía, Casa Américas .Madrid España. 2011: Colectiva Gallería Privada Miami Fla.
1985: Premio Nacional de Pintura “Artistas Aficionados”, Museo Nacional de Bellas Artes. 1993: Primer Premio en Pintura en el Salón auspiciado por la FAO, UNICEF y UNESCO, Pinar del Río. 1995: Primer Premio en el Salón “Espacio Amigo” auspiciado por Farbfiber, Alemania, P. del Río. 1998: Premio “Salón Nacional Tiburcio Lorenzo” UNEAC, Pinar del Río. He works and lives in Pinar del Rio City. 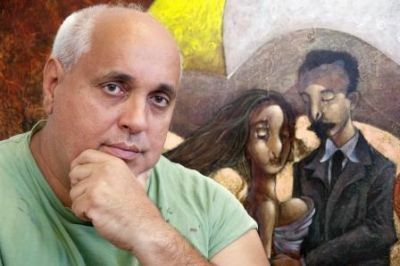 Member of Cuba´s Writers and Artists National Union (UNEAC). · 1989: Esferismos, África Home, Havana City. · 1998 Personal Shows, Hator Gallery, Gijón, Spain. Ø 1988:Salon UNEAC Pavilion Cuba. Havana City. Ø 1993: Collective exhibition in the headquarters of FAO, Havana City. Ø 1997: Collective shows in Jorge Sorry, Coral Gable, Miami, Florida. USA. Ø 2000: International Market of Art Marbella, Spain. Ø 2001: Havana Gallery, Cuban teachers .Chicago USA. Ø 2002: Collective Museum of the Neighborhood New York, USA. Ø 2003: Great Auction Art Latin American and Puerto Rican. Ø 2003: Contemporary teachers . Acacia Gallery . Havana City. Ø 2004: Toronto International Art Fair. Ø 2005: Five hundred years of the Cuisse, Seville Spain. Ø 2006: Nighth Biennial of Havana. Manual Expo of Instructions, (The Refrigerators). Ø 2006: Art in study 61… Colateral to the nighth Biennial of Havana. Ø 2007: Expo devouring monsters of energy, Americas Home .Madrid Spain. v 1994: Auction of Caribbean art, Chelsea Gallery. Kingston Jamaica. v 2002: Great Auction of Latin American and Puerto Rican art, San Juan Puerto Rico. § 1985: National Prize of Painting ''Fond Artists", National Museum of fine arts. 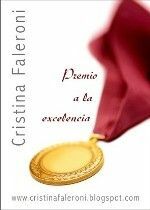 § 1985: Prize ''Salon December Fourteen", Pinar del Rio. This same prize repeats it in 1986, 1989, and 1990. § 1985:Prize ''Provincial Salon", Pinar del Rio. This prize repeats it in the 86, 87, 89 and 90 Years. § 1993: First Prize in Painting in the favored Salon by the FAO, UNICEF and UNESCO, Pinar del Rio. § 1995: First Prize in Salon ''Space Friend'' favored by Farbfiber, Germany, Pinar del Rio. § 1998: Prize National Salon ''Tiburcio Lorenzo'' UNEAC, Pinar del Río. § 2003: Prize, Provincial Salon of Pinar de Rio, granted by the UNEAC . § 2006: Prize, Provincial Salon of Pinar de Rio, granted by the UNEAC . § 2007: Prize, Provincial Salon of Pinar de Rio, granted by the UNEAC . § 2010: Prize, Provincial Salon of Pinar de Rio, granted by the UNEAC . § 2011: Prize, Provincial Salon of Pinar de Rio, granted by the UNEAC . § Grate Part of its work is part of the collection of numerous private collectors in the entire world.